A new study out of Dartmouth College estimates that arsenic in well water could be causing as many as 830 cases of cancer in the granite state. Arsenic occurs naturally in New Hampshire bedrock, and in Southeast New Hampshire has been found in unsafe levels in 17 to 20 percent of domestic drinking water wells. Even in very low-doses, chronic consumption of arsenic is associated with a panoply of negative health impacts, including skin, lung and bladder cancer and decreased IQ in children. Paul Susca from the Department of Environmental Services says the Dartmouth study estimates that if everyone with contaminated water got it treated, as many 650 cancer cases could be avoided. 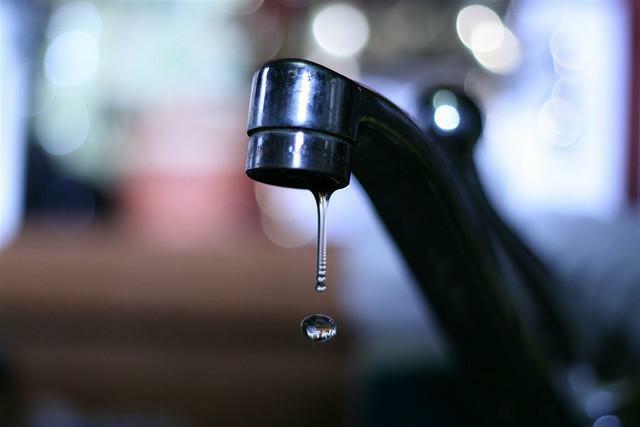 “It noted in the report that that estimate is probably on the low side,” he says, “We’re hoping that well owners will use that information to understand the importance of testing their water and getting the appropriate treatment. Susca says the study was funded by a $290,000 grant by the Centers for Disease control. 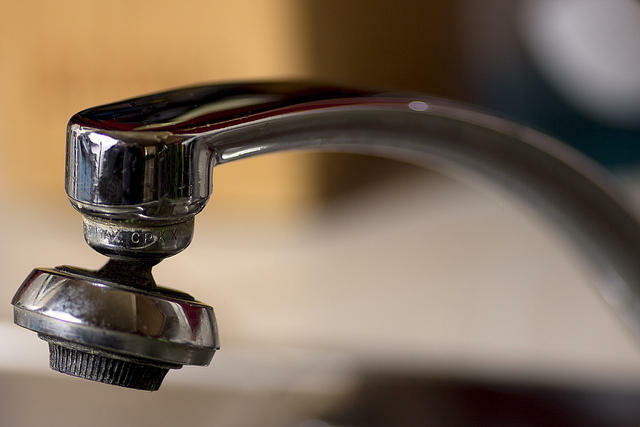 Next year, the CDC grant will also fund a study about how to best encourage well-water testing, and an online tool to help home-owner weigh treatment options. Related: NHPR's Sam Evans-Brown reported on arsenic in New Hampshire wells earlier this year. You can read those stories here. 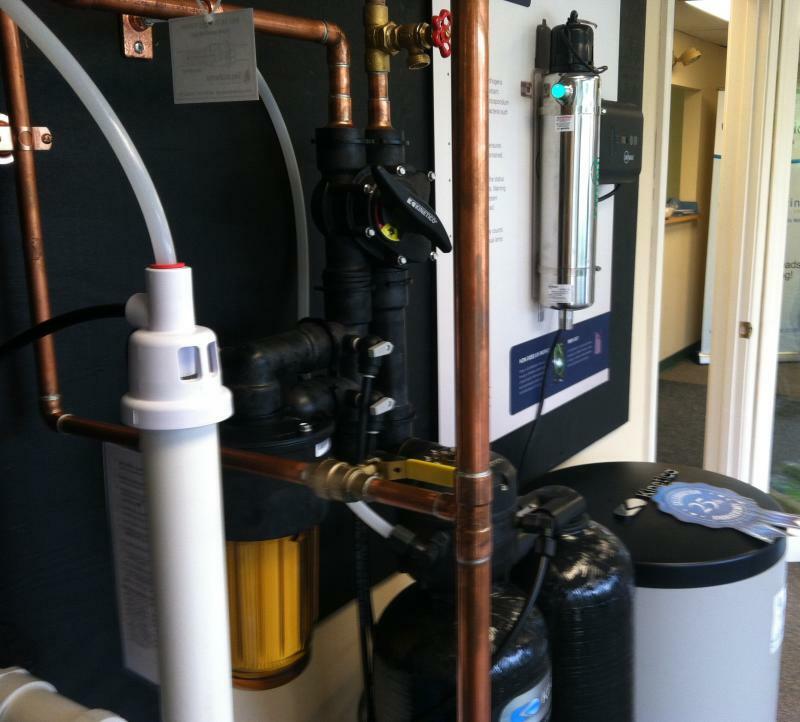 Have you ever wondered how toxic elements like arsenic get into your well water? Do you know how many of New Hampshire's bedrock wells contain more arsenic than the EPA recommends for safe, potable water? If your well was one of them, would you know how to treat it? 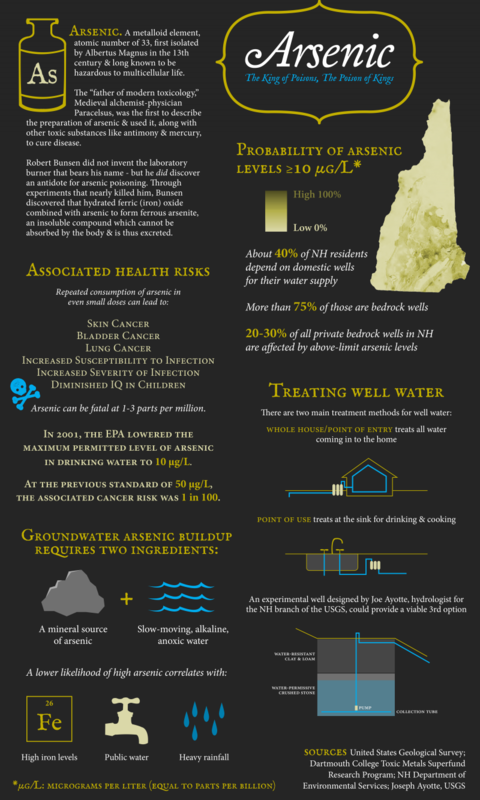 Read through the graphic below to learn more about arsenic and well water. A recent survey of private wells in the Granite State found eighty thousand residents may be at risk of exposure to several toxins, including arsenic. Public water supplies, meanwhile, can be vulnerable to other forms of contamination and affected by severe weather from floods to droughts. We’ll look at these challenges, and possible solutions.